After another couple of hours on the road, we pulled up at the Nindigully Pub to set up for the night with the sole intention of attending the annual Pig Races. Now, they say that the best night to be at the Nindigully Pub is on a Saturday night and the best night of the whole year is the Annual Pig Races. Seeing as we were heading to Dirranbandi anyway, we decided we may as well check out the pig races. And we are so glad we did! 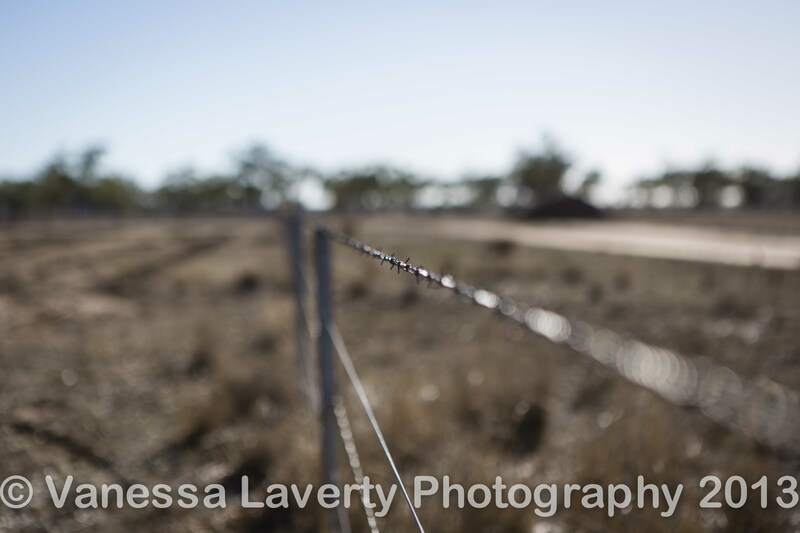 Nindigully lies 160km west of Goondiwindi, 45km east of St George and 70km north of the Qld/NSW border. Nindigully is easily accessible from Brisbane with great sealed bitumen roads all the way. 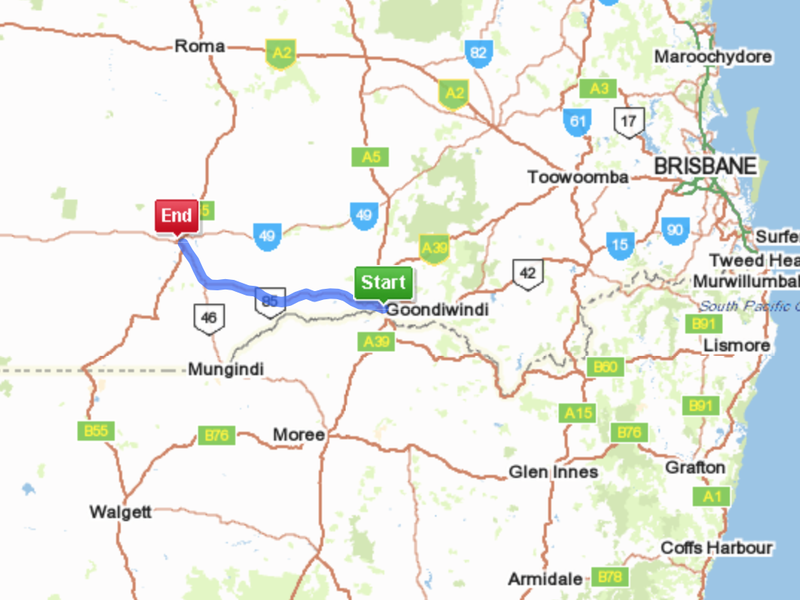 There are other routes, which involve some travel over dirt, but the route we took (see map below) was more than comfortable for us leaving Canungra at about 7 in the morning, stopping in Goondiwindi for 90mins for a break and arriving at the Pub by about 3:30pm. There is free camping available at the Pub, which is on a first come, first served basis. The day starts at 10am so there were plenty of people who had arrived the day before and got great spots in shade. You can’t camp directly by the river but it’s close enough to enjoy. We arrived at Nindigully expecting to see some characters and to enjoy ourselves but that is surely an understatement. This was our first night away and by the next day we were saying that the rest of the trip had a lot to live up to. After setting up camp, we took Pepe and headed over to the Pub to see what was going on. By the time we arrived, they were up to race 5 of 8. Each year, they use the Pig Races to raise money for an important cause and this year funds were being raised for that most noble Australian cause – the Royal Flying Doctor Service (RFDS). I don’t know how much money was raised, but before each race, the 8 pigs were ‘auctioned’ off and every auction we heard, each pig was going for at least $400 – some pigs raised near the $700 mark. With a percentage of the money taken by the auction going to the winner and place-getters, the rest of the money was donated to the RFDS. But the races weren’t the only entertainment. Watching the locals enjoy themselves was entertainment in itself. It seemed that every man and his dog (literally) was there from all over the district – far and wide. One young man used to live in this area but had moved to the Gold Coast. That didn’t stop him from coming home though for the pig races. I managed to get some photographs of some of the local ‘identities’ including Mark Thompson, a bush poet who enters the Australian Bush Poet Festival each year. Here’s a few images of the locals at play. What we did notice, however, was that out here in the bush, though everyone was drinking enough to sink the Titanic, there were no idiotic carry ons, no hooliganism, no drunk and disorderly behavior, no fights and no abusive behavior – physical or verbal. The local blokes and girls know how to party but also know they have to get up early the next morning and keep on working. In short, it was a very fun evening and night. Entertainment was continual – a single male guitarist singing some great country and western, followed by two women who travel Australia raising awareness of breast cancer. They sang some fabulous covers – country and western, Tina Turner…you name it, they sang it. The pig races was part of the entertainment and when all the races were over, as day turned into night and the sky darkened with a curtain of stars, we were treated to a fireworks display which was then followed by the most fabulous bush band – “Simply Bushed”. We were actually about to head back to the tent when these guys started but once they started, we stayed put. They were great and sang a lot of Aussie pride songs like “True Blue” (John Williamson) and “Click go the Shears”. Eventually though, we did leave – the music was a bit loud for our little Pepe and he was slightly disturbed by the flashing lights. We were gone by 7ish and have already made plans to head back to Nindigully for the Pig Races again next year. Who will join us? In my next post, we move from Nindigully and head to Dirranbandi, St George and Begonia Station.